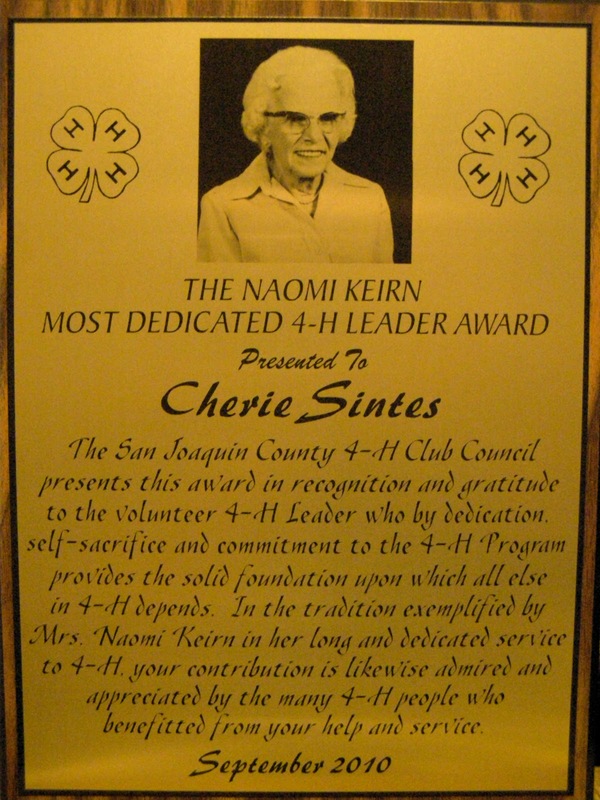 I was incredibly honored when I recently received the "Naomi Keirn Most Dedicated Leader Award" at the 2010 annual San Joaquin County 4-H Awards & Recognition Night! As a volunteer 4-H Poultry Leader for just over eight years, this not only came as a surprise but as a wonderful way to begin the new 4-H year! 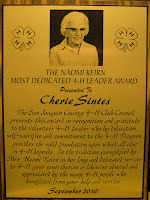 Thank you to all those who nominated me for this very distinguished award, I couldn't have been more proud. We have an awesome poultry project!